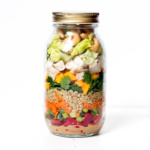 Four delicious meal prep salads that you can make in a mason jar! 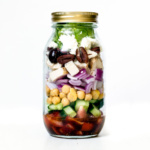 These easy salads pack plenty of veggies and protein, and are tossed with incredible, homemade dressings. Healthy lunch at its finest! Thank you to everyone for making the first ever #AKSaladChallenge a success! 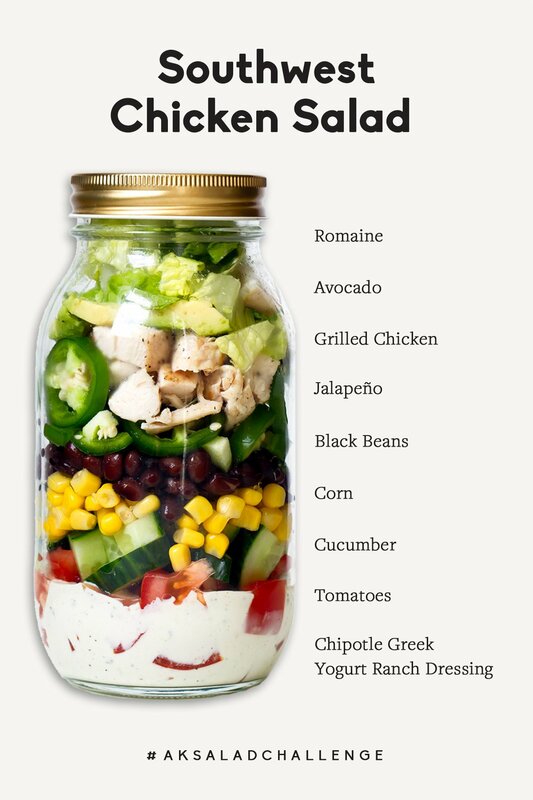 I had so much fun creating these delicious meal prep salads for you guys, and absolutely LOVED seeing your creations come to life on Instagram and in the AK Community Facebook Group. 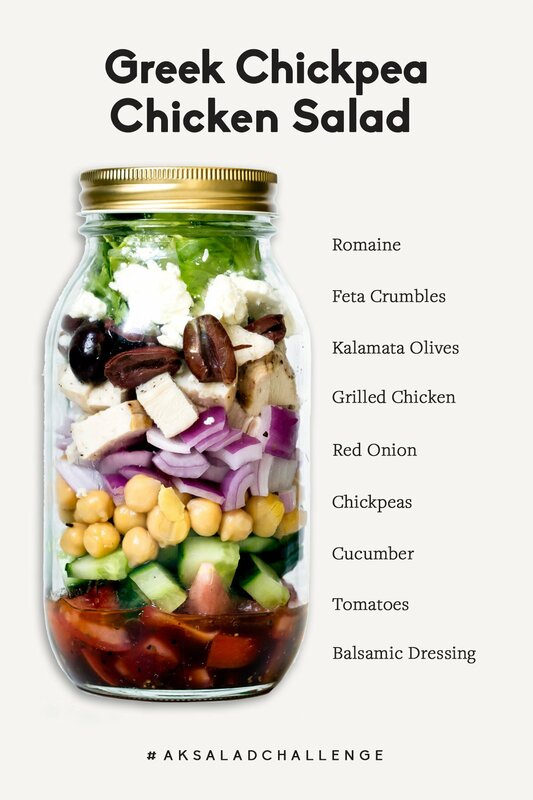 We’re wrapping up the challenge with a little round up of the famous salad jars, plus a fun mashup video that shows each one. Check them out and leave a comment to let me know which one was your favorite! Also, should we host more challenges on AK? Maybe a smoothie challenge or OMG a cookie challenge?? Okay getting so excited. Head to our Facebook group and tell me what challenge we should do next. 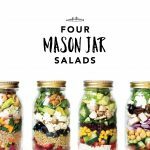 17 Responses to "4 Healthy Meal Prep Salads"
With salads in a mason jar, do you shake the jar to mix the salad? 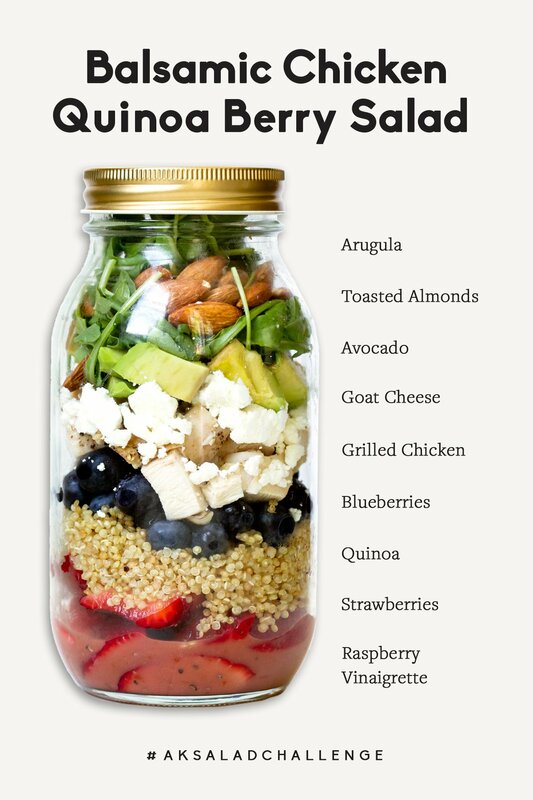 Isn’t it hard to eat out of the jar? Do you need an extra long fork? I find it’s much easier to dump everything on a paper plate/extra container. 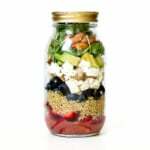 Especially since my jars are usually packed and this ensures even distribution of everything! 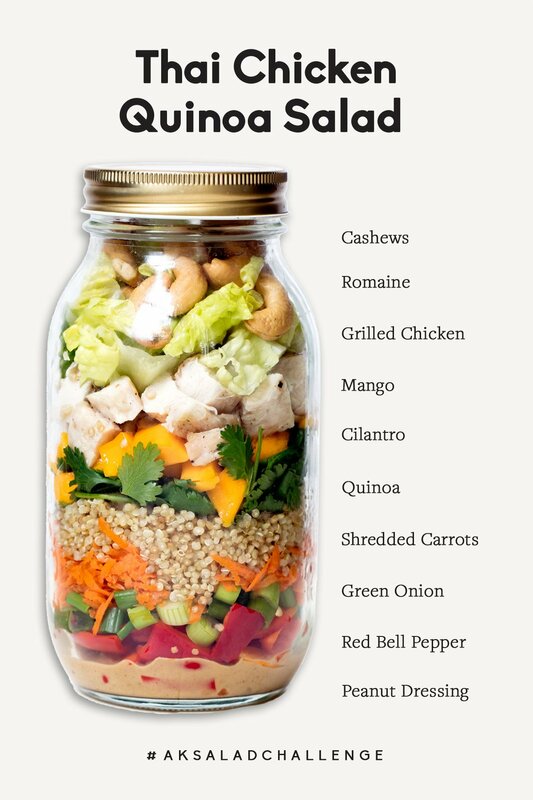 Very nice idea and it will certainly help carrying and keeping salads fresh. 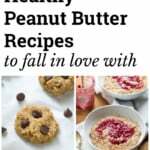 I am pinning up the post and trying them all for my lunch . Thanks for the share. Loved it. 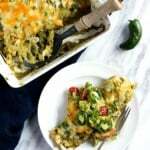 I ate the Southwest one all week long and loved it! There’s an Aldi close by to me so I got everything from there — I think I only spent around $15 total for the salad ingredients. I plan to try the Thai Chicken one next week. Thank you for sharing! Perfect – love the Southwest one! Big dinner salads are my favorite 🙂 these also make great leftovers! 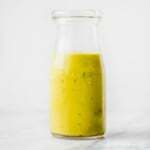 how last it could be good in the fridge? They should be good for about 3-4 days!